Family owned and operated since 2008, Jack Eason Custom Gates is proud to provide Wichita Falls, TX and the surrounding communities with high quality decorative iron and fencing work. 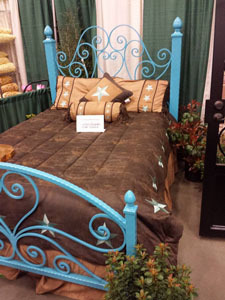 Our excellent craftsmanship is matched only by our accommodating, convenient and friendly service. 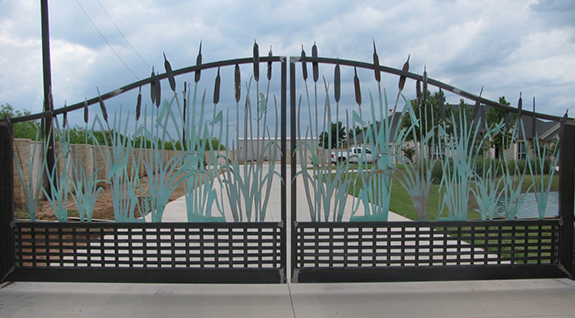 If you are looking for a reliable, experienced and highly respected local business to handle all of your needs related to iron works in Wichita Falls, TX, then you need look no further than Jack Eason Custom Gates. With over 13 years of professional experience, a passion for metal working and a strong commitment to great service and reasonable prices, we are among the leading metal fabricators in the area, and our team hopes to soon have the opportunity to show you why that is. We are a proud locally owned and operated small business in Wichita Falls, TX. We provide a wide range of iron and metal services for residential and commercial clients. Our professional iron workers are friendly, experienced and hardworking. We are fully accredited by the Better Business Bureau. Our price to value ratio is always fair and customer-friendly. "I absolutely love my new porch railing! It really dresses up my front porch. They did a fabulous job." January 28, 2019 Hayley M.
"Jack did a great job on a gate for us. He was quick and efficient. We love the way the gate looks. We will recommend him to all of our frien..."
"Jack and his team did a great job installing our iron gate and laying out the various design options for us. Very responsive and great cust..."
January 5, 2018 Trista E.
"Saw some of Jack's beautiful work at the Parade of homes. Always so impressed by the amount of love and creativity put into each design. Gre..."
"Jack and his team are very knowledgeable, professional and efficient. He listened to my ideas (ladies, did you read that carefully, he liste..."